48 x 30 cm - 18 7/8 x 11 3/4 in. 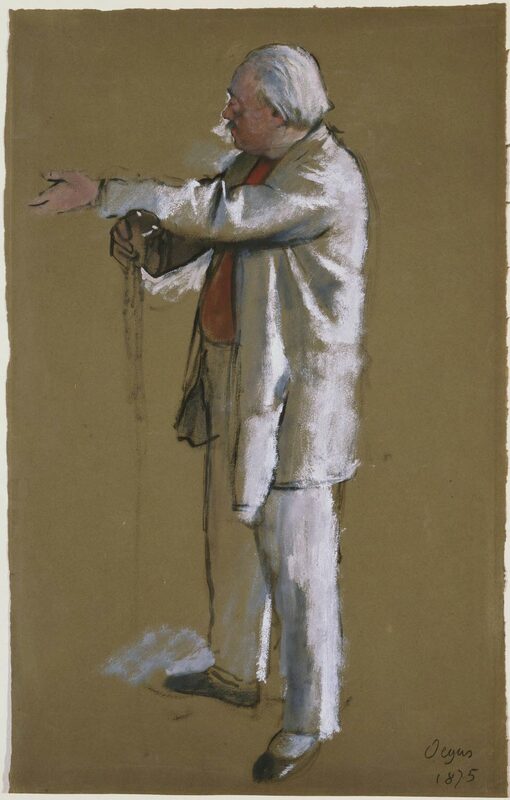 Eugène W. Glaenzer & Co., New York, décembre 1909 (Acquis par Boussod-Valadon, Paris) - J. Mancini, Paris - Maurice Exteens, Paris, avant 1912 - Petitdidier, Paris - Fernand Ochsé, Paris, avant 1924 - Paul Brame, Paris - César de Hauke, New York - Henry P. McIhenny, Philadelphie - Philadelphia Museum of Art, 1986 (Don Henry McIlhenny). Copenhague, Statens Museum, 1914, n° 703 - Paris, galerie Georges Petit, 1924, n° 54 - Northampton, Smith College Museum of Art, 1933, n° 22 - Cambridge, Fogg Art Museum, 1934, n° 20 - Buffalo, Albright Knox Gallery, 1935, n° 117 (repr.) - Philadelphie, Pennsylvania Museum, 1936, n° 78 (repr.) - Cambridge, Fogg Art Museum, 1936 - Boston, Museum of Modern Art, 1938 - Cleveland, Museum of Art, 1947, n° 67, pl. 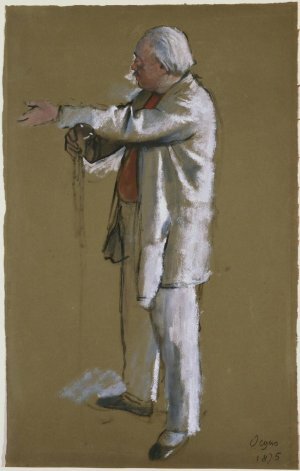 LIII - Philadelphia Museum of Art, 1947, n° 123 - Philadelphia Museum of Art, 1949 (Sans catalogue) - Cambridge, Fogg Art Museum, 1958 - San Francisco, The California Palace of the Legion of Honor, 1962, n° 17 (repr.) - Saint-Louis, City Art Museum, 1967, n° 73 (repr.) - Allentown Art Museum, 1977, p. 50-51 - Edimbourg, National Gallery of Scotland, 1979, n° 16 - Atlanta, High Museum of Art, 1984, n° 19 (repr.) - Washington, National Gallery, 1984-1985, n° 13 (repr.) - Paris, Ottawa, New York, 1988-1989, n° 133, repr. p. 239 - Zurich, Tübingen, 1994-1995, n° 117, repr. p. 286 - Detroit, Philadelphie, 2002-2003, fig. 230, repr. p. 205. Rivière, 1922-1923, pl. XXVI - Boston Evening Transcript, 24 mars 1934 (repr.) 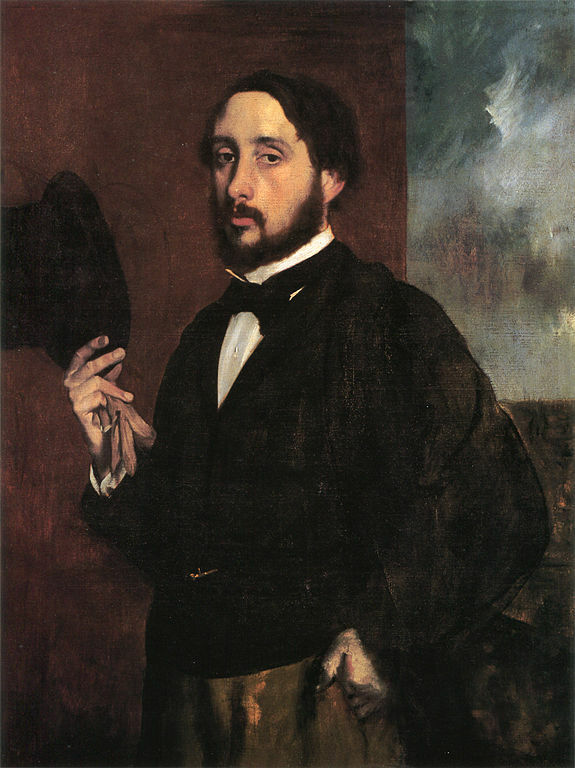 - Vollard, Degas, 1937, pl. 52 - Mongan, 1938, p. 295 - Mauclair, 1945, (repr.) - Lemoisne, 1946-1949, II, n° 364, repr. p. 195 - Degas Letters, Oxford, 1947, repr. face p. 116, fig. 14 - Browse, , n° 24 - Rosenberg, 1959,From Pisanello to Picasso, fig. 214, p. 113 - Boggs, 1962, p. 56-57, 127, pl. 93 - Lassaigne, Minervino, 1974, n° 481, repr. p. 109 - Dunlop, 1979, Degas, n° 106 (repr. ).